MUL-T-LOCK's new Hasp Lock offers a convenient solution for padlock/hasp applications with no removable parts - a padlock and hasp combined! 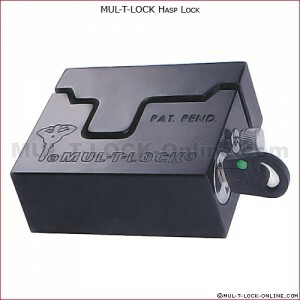 In addition to Mul-T-Lock's high security cylinder, which offers pick, drill, and bump resistance, the Hasp Lock's unique patent-pending design utilizes a massive case-hardened steel structure with electrophoretic finish and a 1/2" diameter hardened boron alloy bolt for extreme defense against physical attacks. Perfect for transportation, gate, vending, storage, applications and more. 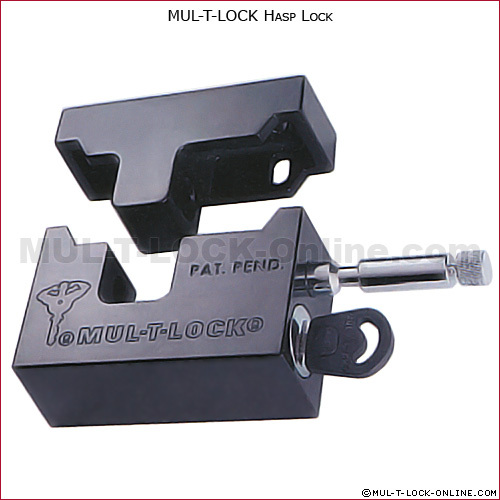 The Hasp Lock can be easily installed by welding or bolting. The built-in locking mechanism ensures that the lock is present at all times and cannot be misplaced. It also eliminates the need for users to handle a padlock, making it most secure and user-friendly solution.